Hamburg is a huge, expensive sea port – those are the usual stereotypes people attach to the beautiful Hanseatic city. Follow a few basic tips, though, and you can easily enjoy a visit to the second largest city in Germany on a budget, with so much to do that you’ll struggle to fit it all into a weekend break. 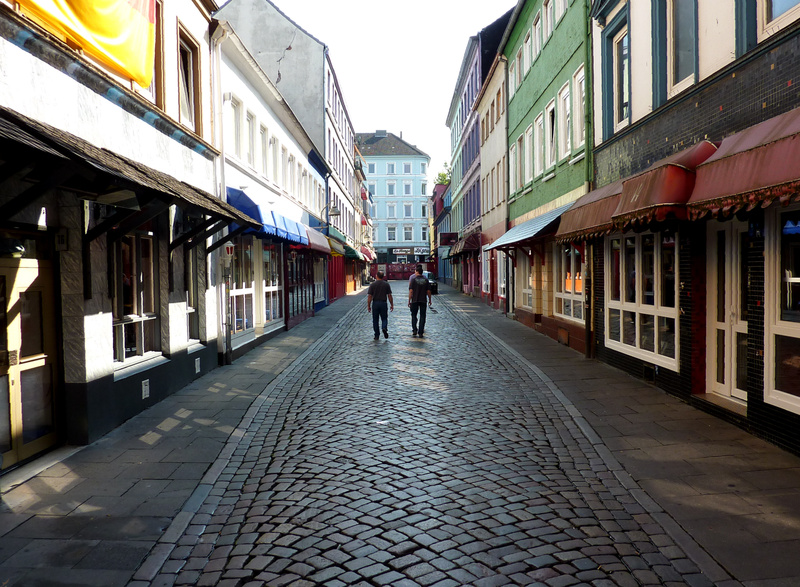 Staying at one of our Hamburg hostels will save your euros. Hamburg Auf dem Sintfang and Hamburg Horner Rennbahn are just a few minutes from the city centre, and prices start at just €29. If you want to get a good overview of the city and what it has to offer, hop on bus route 111. A journey between Altona and Hamburg’s HafenCity will also take you past the fishing harbour, St. Pauli, and the jetties, adding up to a total of 16 attractions within the half hour journey from Altona to the Speicherstadt. The old Elbe tunnel is a fascinating place, and the first river tunnel on the continent. 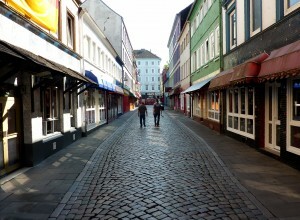 The tunnel is more than 400 metres long, and connects St. Pauli to the port area of Steinwerder. Built from 1907 to 1911, Elbe tunnel was destroyed in the the second World War, and reconstructed, and it’s testament to the history over the past century makes this one of the most important buildings in Hamburg. The HafenCity Hamburg is the largest inner-city urban development project in Europe, an evolving, exciting quarter directly on the banks of the river Elbe, and a fine showcase of modern architecture. HafenCity InfoCenter runs some interesting free tours, whether you’re a first time visitor or want to deepen your existing knowledge of the area, by foot or by bike: New Horizons takes you on a bold journey into the future, whilst Night Vision attracts romantics after an evening snap of the cityscape, and those with a thirst for local knowledge. At Hamburg Stadtpark, you’ll find a packed calendar of events during the summer, with a huge mixture of artists such as Wu-Tang Clan, Cypress Hill and Status Quo playing there over the coming months, alongside popular German acts. Ticket prices are usually pretty pricey, but if the weather is good (as it often is in summer) you can settle elsewhere in the park and still listen to the music. Visit the Zoological Museum of the University of Hamburg for an exciting insight into the animal world, where you’ll find whale skeletons, preserved bears, moose and rhinos, and discover an extensive insect collection. The entrance to the collection is free, but donations are welcome. “In short is long enough!” is the motto at Literatur-Quickie, held on the last Sunday of every month, where five authors – mostly from Hamburg – read a maximum of 15 minute excerpts from their books. The event is not free, but for six euros you get good literary entertainment and a handful of recommended reads. You’ll find plants as far as the eye can see in the botanical gardens of Hamburg university. 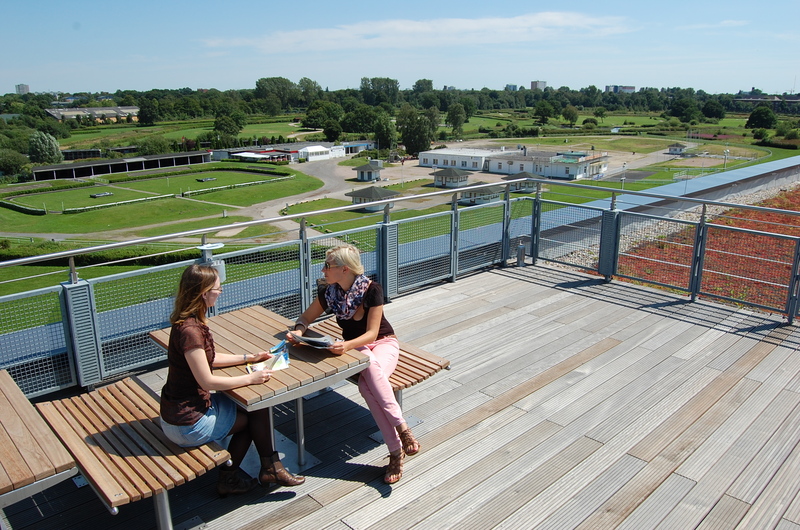 Between the many different plant species is a wonderful place to relax and enjoy yourself in the greenery. A walk through the botanical gardens always comes with the scent of fresh flowers. Since 2012, the botanical garden has been called the “Loki Schmidt Garden” in honour of the German environmentalist who initiated the foundation for the protection of endangered plant species. Don’t want to splurge on eating out? 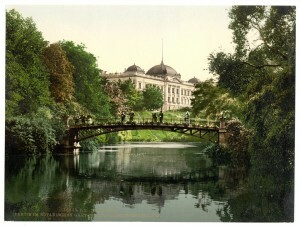 Instead, go for a cosy picnic in one of the many green spaces in Hamburg. Especially popular places are the outer Alster lake, the Hamburg Stadtpark (City Park) or the Szenekiosk Strandperle, where you can have a BBQ. In winter, an ice-skating rink pops up in the city, and from the middle of April to the end of September can get your fill of skating, too: the roller rink in the park Planten und Blomen extends over 4,300 m2 – here you will find plenty of space to wheel around. Clearly, Hamburg is a big city, so you can find almost any business known to man here. It’s much more interesting, however, to look outside the typical Malls. The Dauerflohmarkt “My shelves” in Hamburg North sells vintage clothes, new products and pieces of art at minimal prices.“Umsonstläden”, or in English the closest translation, “free shops”, are a good alternative if you run out of money, but still want to indulge in a Hamburg shopping trip.These stores are a social project sponsored by the local government under the principle “too precious to throw it away”. Here people donate all kinds of second hand items in a great condition. Mostly you can find a mix of clothes, electronic devices, furniture, shoes, books, vinyls, CDs, and even household decorations. If you’re backpacking, bring something you no longer need which will bring joy to others. Of course, you can also take something new away with you which tickles your fancy. 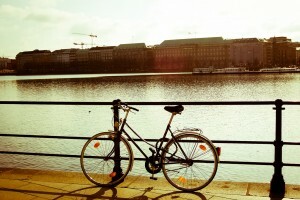 By bike: What could be better than a foreign city to explore and putting the wheel to good use? Nothing! 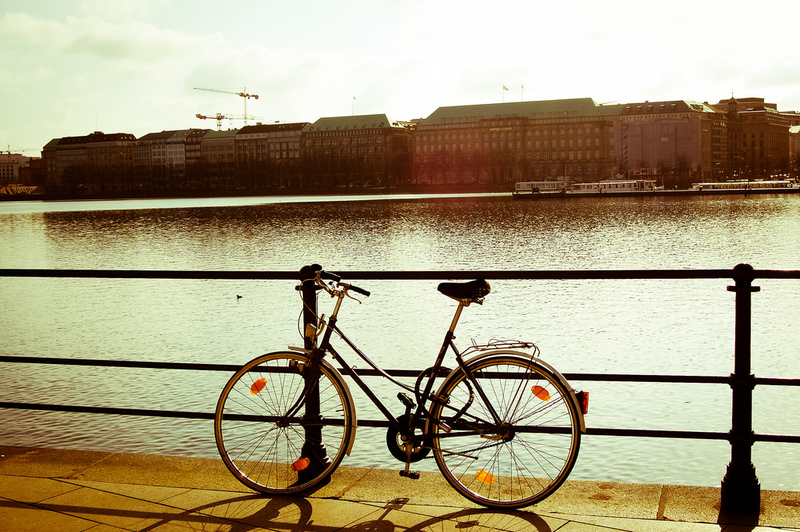 The StadtRAD cycling system is without a doubt the best option for a trip to Hamburg. Top up 5 euros using your credit or debit card, and you can use all bikes from all StadtRAD stations across Hamburg. The first half an hour is free, and since the stations are so close to each other, you can reach another station in 30 minutes, and grab a new bike for another free 30 minute ride. 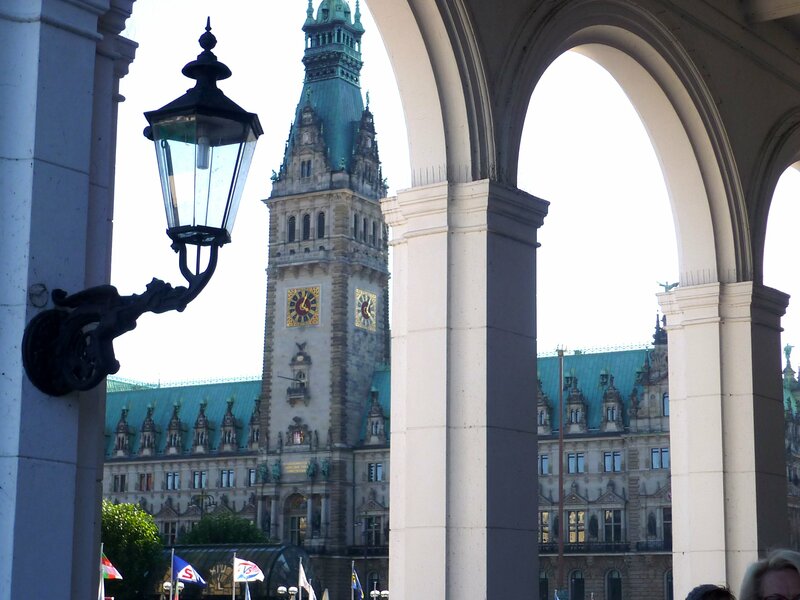 By bus, train and boat: Hamburg’s public transport is also handy: you can reach all the city’s best sights and attractions by bus, train or even boat. For those who plan on travelling around a lot, the Hamburg Card is a great option and offers deals and discounts on a range of different attractions and experiences – but mainly public transport. Depending on how many days you are in Hamburg, a card you can buy for one to five days, so that it is free travel in the Hamburger Verkehrsverbund (HVV) in addition to discounts and special offers at many attractions.